So last episode Veronica got shot and Sister Assassin Nun decides the best thing to do is not take her to a hospital and instead to pray for her soul while she slowly bleeds to death. Yeah the nun has gone off the deep end. She also interspaces prayer with questions about Damien and Ann, her mother (poking more of Veronica’s mother issues since Ann was so obsessed with Damien not her). Simone is not a big fan of this solution but spends a lot of time passively condoning it but it seems more shock as she tries to grasp just what is going on and the general sinister nun and gun shot wounds et al. Damien and Amani are sorting out their differences which involves more of Amani returning to Damien’s service: firstly by putting him in touch with Simone’s Assassin nun (who poor Damien even thinks may help him. Hah, no) and by agreeing to try and get close to Veronica again to spy on Ann. This gets Amani kidnapped because Ann really wants her daughter back. With Damien arriving on the Assassin Nun’s doorstep, he happily locks Simone and Veronica up to focus on “helping” Damien. He tells her all his visions and she’s very comforting about it all. Which includes lots of nice things about he’s god’s chosen and he doesn’t have to be evil and he can be good. Which is nice except for the whole “you’ve been chosen to be the antichrist – god’s will!” which Damien takes issue with. He’s not here to praise any god that decides invading the world and unleashing torment and horror is a good idea. Hah-ha he’s using logic to try and convince the Assassin Nun. That doesn’t work. Nor does the head injury that Simone inflicts on her finally trying to escape with Veronica and get her to a hospital. Assassin Nun decides the best way to help Damian is to stab him, wrap him in thorns, carve up his head and bury him alive. Alas, Ann has left her minions before. I can see no reason why Ann DOESN’T have minions to be honest? She usually has minions. She managed to have people raid Damien’s home… but she left them at home while taking on Assassin Nun? Damn don’t you just hate it when you leave the house and forget something important? Keys, wallet, army of goons? Or does the show only have the budget for one lot of extras? Satan also seems to have skipped out – all the demonic forces are busy tormenting Detective James (his husband has now left him with their son because James is becoming more and more terrifyingly obsessed and with lots of hallucinations. He’s also been suspended from his job). Satan does take time out to kill Veronica… because… I don’t even know. She’s just killed by evil tree roots. She was already dying! Why even do this? That’s beyond disposable. Despite all this, none of these demonic forces decide to rescue Damien. 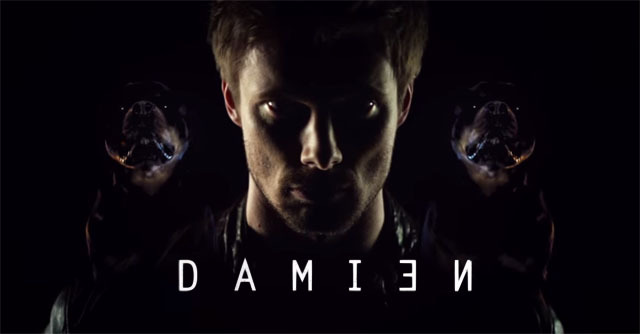 It’s also possible that Assassin Nun intended this – it has been implied by previous episodes that some Christians want Damien to succeed simply because they want the second coming/rapture et al. As Assassin Nun said, this is god’s plan… I can’t think of another reasonable motive for what she did.